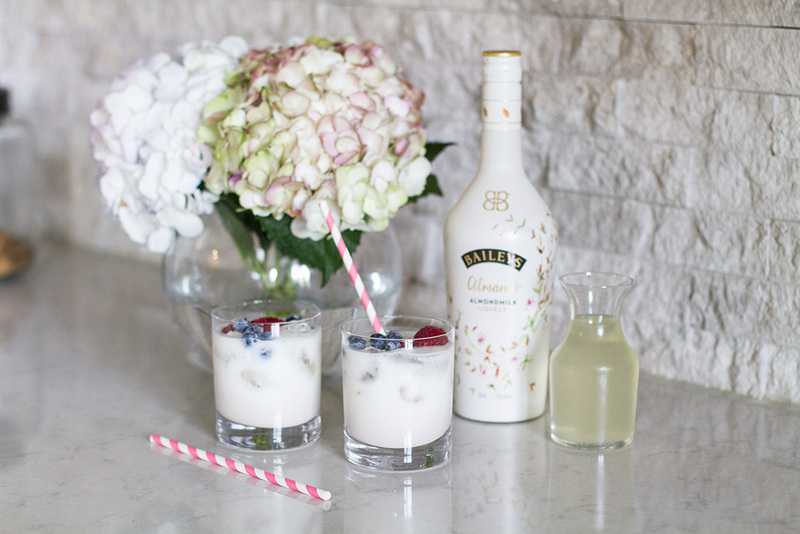 Baileys has just released a new product called Baileys Almande. You may have seen me talk about it on my instagram already! 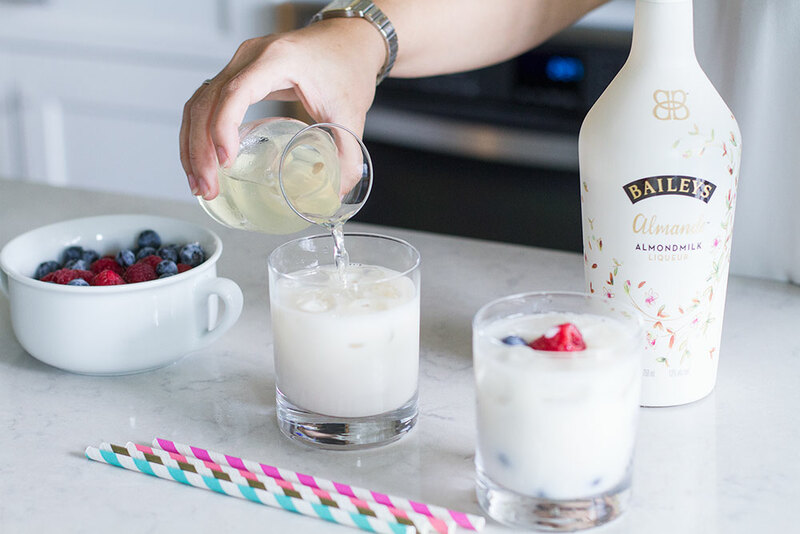 This new Baileys Liqueur is made with almondmilk and also happens to be gluten free. I was excited to hear about it being dairy free since I don’t drink dairy! 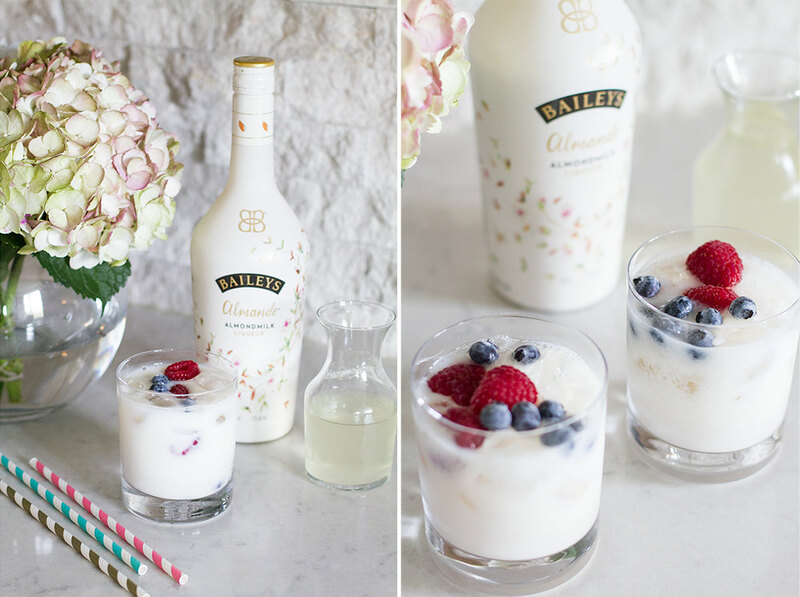 If i’m comparing it to the original Baileys, Baileys Almande has a completely different taste as well as a more of a light tasting flavor. It can be served on the rocks, just like the original, but it can also be mixed into a cocktail. One of my favorite ways to serve this liqueur is with coconut water and garnished with fresh berries. At first I wasn’t too sure how the flavors would work… but, they actually pair really well together. You should definitely give it a try at your next girls night in! 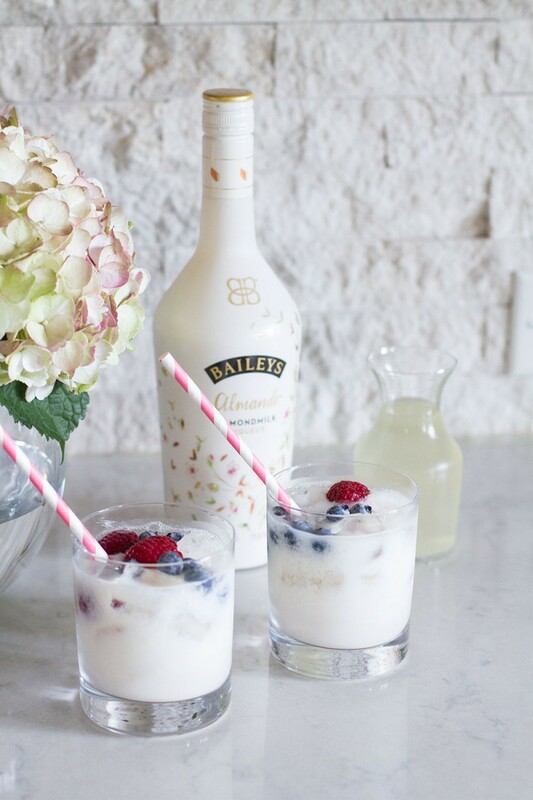 Pour the Baileys and coconut water in a short glass with ice. Garnish with berries and stir to mix.